Hello to the Administrators, moderators and all the members, im very honored to be a member of this Forum. I bought a 1977 Classic Mini, it has a 110cc engine, it rans fine when i bought it, i rode it for 2 weeks then problems started. 2) then the car still ran for a bout 1/4 mile then it started to hesitate then died. 3) then i re-start ,and it started right up. 5) i open the hood and investigate the engine. Ok: Most regulars are US based so near impossible for some designs even that could be universal. Need to know if this has a distributor with points or some kind of electronic or CDI (capacitor discharge ignition) or plain point with a condenser? For now if a distributor with points see if you can find the point gap it's at now and turn engine so they are at their widest gap. Now look at that gap and push on shaft towards the points and see how much more it might move to open them which would be the same for any shaft driven distributor that some will get too much play side to side - total guess for now. A dwell tach could be real handy and a DVOM (digital volt/ohm meter) and an in line spark tester but can do some checks without the dwell tach if points and plain feeler gauges. yes, its an older engine , distributor has the points . i did use the spark tester , it looks like a pen with little light bulbs on it, touch the tip to the spark plug wire while engine is running and it will lit up if there are electricity passing thru it... apparently that one particular wire (no.1) gives a spark at first then diminish after few minutes of idling. Hmmm? Yes - I think I'm familiar with that type of tester that you do NOT take the wire off the plug and it still shows an amber light part way up the "pen" type tester. Those are marginal at best but if it continues to work on others and not #1 that's informative. 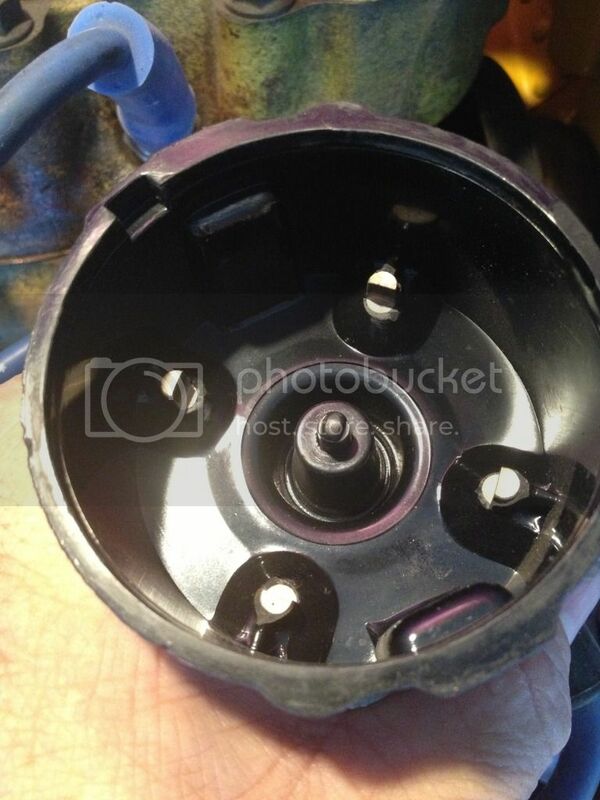 Then anything to do with #1 is questionable from inside distributor cap, wire itself most likely. If this engine allows swap that wire with one known to work and see if the problem follows along to another cylinder. If so could run much worse too as #1 spark plug could be fouled up pretty bad now too and only looking at them for even condition or tossing all (not yet IMO) would help but would rather nail it down as to why it's picking on spark to just that one first. Should not be points yet but could be in cap, a flaw or unseen crack that can almost look like just a pencil has been used to draw a line showing or a white burnt area. If this engine is good with good compression and other signs all good and you can prove lack of adequate spark to just #1 then do all that stuff new. i switched the wires and still the #1 didnt work even with different wire,/ the spark plug is new/ i switched the spark plug too and still #1 gives intermettent spark. Points to consider: it all started when i abruptly stepped on the gas then suddenly the engine showed hesitation, NOW, is it safe to say that it might have moved the entire distributor stem(with the gear that goes inside the motor) which rendered the timing off?, the sudden step on the gas with the clutch engaged must have made the gear pushed the ignition thing or distributor thing a little that made the timing off....will that be possible? Getting there slowly. OK - it seems to be surely picking on #1 as a misfire. How sure it's spark only is going to take more testing. Interesting that one event you mentioned seemed to cause this. Just maybe engine moved too far on mounts (could be weak or bad too) such that distributor bumped something it really shouldn't be able to and did get a crack or flaw in it? Another maybe is this isn't spark at all but rather a vacuum leak that picks on that cylinder making it too lean or again with a compression problem and don't why that would happen because of just starting off too quickly on one like that but would have to check why just that cylinder and may just be coincidental to the abrubt "stepping on gas" as you put it? 1) that an electric current is passing through the wire? 2) that there is a spark on the spark plug itself? point i am after: i just want to determine if the plug gets fouled, the pen stops lighting up,then the origin of the problem is from combustion chamber (i need to determine WHAT causes the fouling of plug. IF the light on the pen stops,then the spark plug stops igniting it means the origin of the problem is in the distributor department. Near sure I know the device you are using. Better is an in line spark tester that requires installing it in between plug wire and plug for example and lights well plus can widen gap to see how far it can jump but seems you know you have a dead cylinder and misfire due to lack of spark which for now points to the distributor as you've switched wires and plug - right? Problem didn't follow. If individual fuel delivery for each cylinder you have to tell me and see if that is falling out and again being fooled on the spark somehow? Plug would foul with very weak or no spark with fuel still being delivered so my guess is still a spark issue or compression issue yet to check that. A cylinder will NOT fire at all or well if too low. Testing can show pretty well why as well as comparing that spark plug to one with no issues. Oil wet, fuel wet, carboned up black, shorted, cracked, showing too hot and so on up to totally wrong gap or plug type forcing the spark to seek ground elsewhere as it has no brains just want to find ground the easiest way. You sure that distributor cap is good? yah, there were no corrossion and i even run a ohm tester on it to see if there is a good continuity. hmmm wait a minute, can i possibly rotate the distributor cap to see if that particular port#1 is indeed bad?? i will also rorate the wires right?? You might have good ohm between the terminal inside the cap to the outside terminal, but if you have a crack or carbon track the spark is going to find that before going through the plug's gap. Here's an example of a cap that may ohm good, but spark has found ground to the distributor housing through that carbon track. Probably cheaper and easier to replace the cap. If the cap is black, seeing carbon tracking is even harder. You should also inspect the lobes on the distributor shaft that the points ride on. Could have a worn off lobe...never know. Can't tell if your cap is tracked in your picture. Checking lobes should be easy. With the ignition off rotate the engine by hand while watching the contacts on the points as they open. They should open four times, with the same length gap per opening, after rotating the crank two revolutions. how do i rotate the engine?? should i rotatethe fan by hand? Not sure if you can rotate it by the fan. There should be a large bolt in the middle of the crankshaft pulley that you can put a socket and ratchet onto. Just make sure the ignition is off. 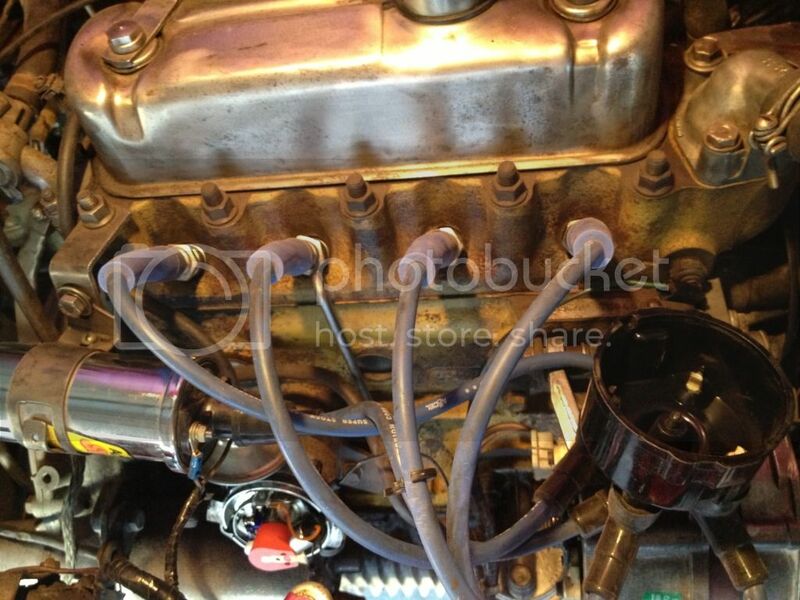 You could also remove the spark plugs to make it easier to turn the crankshaft. That engine looks really simple to work on. Wish I was working on something like that at our shop instead of the modern computerized nightmares. Oh...make sure you rotate the crankshaft clockwise only. and i noticed that the coil is very hot,, what does it mean?? 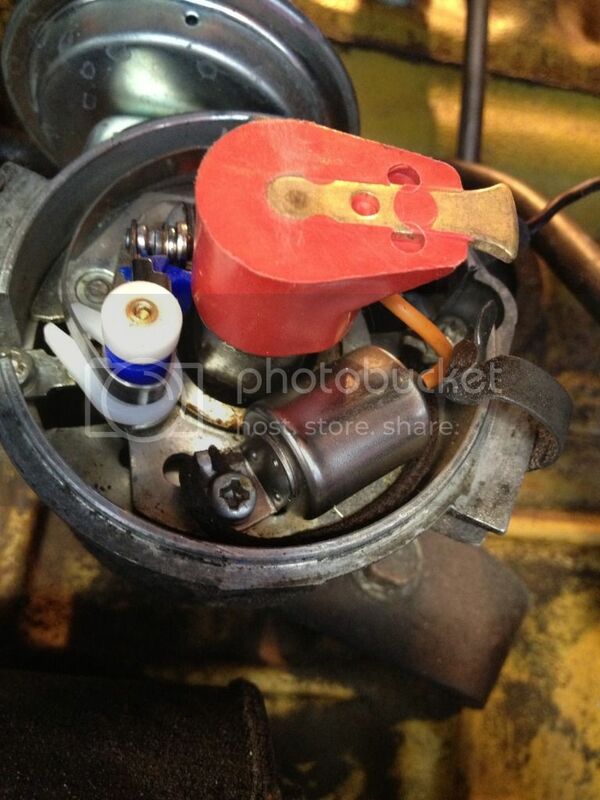 If you have the ignition on too long with the points closed, the coil is going to be charging or turned on. The coil doesn't fire until it is turned off after it has charged. They call it saturation. The coils of wires on the primary side of the coil tend to get hot. The oil in the coil is supposed to keep things cool, but they still do get warm. It could also get hot from being bolted to the side of the engine. Back for a bit. Thanks HT and DS for pics and descriptions. Robster - electricity is seeking ground and doesn't care which route just the easiest. Things can look good to the eye and totally not be. DS showed a cap with clear markings, some aren't so clear and water as mentioned might bring out just where it's messed up. Back I mentioned the wobble of the distributor shaft is what I meant hoping you could see it by hand or dwell meters show it. If somehow the spark inside cap has a larger jump to #1 it may pick the prior or next terminal or anywhere easier and you don't see that but can test for loose distributor as said back several posts. Coil getting hot (saturation as DS said) suggests that spark is really struggling to find ground. Coil tower itself can have the flaw also and if distributor is off just might choose one cylinder to struggle with and show at coil tower or wire. Everything to do with high voltage items is suspect. 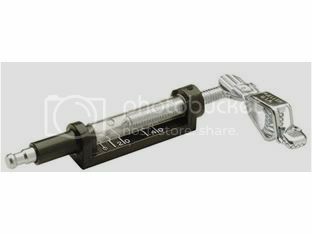 We call those secondary items/parts, coil, coil wire, cap, rotor plug wires porcelain to spark plugs and the metal of the spark plug. A fouled plug might take the ground nicely but not fire or spark. New parts or not can mess up or worse wrong types like all plugs not correct so brings out the weakest link. Better test equipment would help but strong clues can be had. the thing that confuses me is that why does the car start fine then after few minutes, especially when i rev it, the engine starts to hesitate and when i touch the pen onto the no.1 wire, the light becomes intermettent and eventually diminish while the other 3 wires has consistent light on the pen. then after few minutes, the car start right up again then hesitate. and so on. i tried moving the distributor shaft counter clockwise and clockwise just to see if its just out of timing but still same problem occurs. im thinking the over heating of the coil has something to do with the problem, it might be the cause or the result from another fault. is this normal? does it have too much play ?